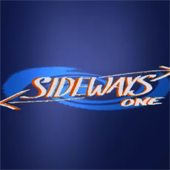 One of my friends wanted to start up a clothing brand, called Sideways 1. With the idea that is for anyone who ride’s sideways, such as Skateboards, Surfers, Snowboarders, Wakeb-oarders and Mountain Boarders – all the things you ride sideways. I made a video for the company, and composed this for the video. I really like how this one came out.